Sri Lanka approaching her seventy-first anniversary of gaining freedom from the United Kingdom is presently in the midst of an interesting politico-legal phase. The Island nation is engaged in formulating a new Constitution. The country from the time of Independence has had three Constitutions so far. The current exercise if successful would result in Lanka getting a fourth Constitution. At a facetious level this would re-invigorate the old joke about a bookseller who told a prospective customer that he does not sell “periodicals” when asked for a copy of the Sri Lankan constitution. On a more serious note the frequent unmaking and making of Constitutions in Lanka reminds one of Dr. Rohan Edirisinghe’s pithy observation about “Constitutions without Constitutionalism”. Even as these Constitution formulating efforts go on a great feeling of sadness envelopes me. I cannot but help thinking of a man whose passion was for Constitutional reform who is no more with us today. A man who could have rendered a very great service and provided a positive sense of direction to the current Constitutional project were he alive today. A man whose loss is acutely felt by the Sri Lankan Tamils in particular and Sri Lanka in general at this juncture when Constitutional history is being made. The man for whom I have the greatest regard and affection is Dr.Neelakandan Tiruchelvam known as Neelan Tiruchelvam whose 75th Birth anniversary will be celebrated this week. Neelan, an eminent Constitutional lawyer,academic and politician , was born on January 31st 1944. This article therefore is to denote and commemorate Neelan’s 75th Birthday. I have written on or about Neelan many times in the past. Nevertheless I do feel Dr.Neelan Tiruchelvam needs to be remembered and acknowledged again at this point of time.I feel his absence very greatly in the present political environment where Parliament has converted itself into a Constitutional Assembly to enact a new Constitution. 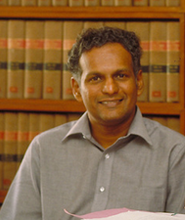 Dr.Jayampathy Wickramaratne and MA Sumanthiran under Prime Minister Ranil Wickremesinghe’s overall leadership are trying hard to evolve a Constitution acceptable to all. 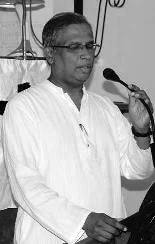 Tamil National Alliance(TNA) parliamentarian and Lawyer Sumanthiran with the blessings of his leader Rajavarothayam Sampanthan, persists courageously in his efforts to help evolve a pluralist, egalitarian Constitution that would be acceptable to all while affording maximum possible power sharing. My heart goes out to Sumanthiran as I see him confronting criticism – much of it unfair and untrue – and striving valiantly to put across the correct perspective in the Constitutional exercise. Neelan fought hard to bring about Constitutional reform or a new Constitution against overwhelming odds at a time when war was raging against the Liberation Tigers of Tamil Eelam(LTTE) and paid the supreme price. I feel Neelan’s loss acutely as I look at the current predicament of the Sri Lankan Tamils and lament to myself “If only Neelan was allowed to bring about a political settlement through his devolution package then”.Alas! reality is cruel and such thoughts are in a way a pointless exercise nowadays I suppose. “Any man’s death diminishes me because I am involved in Mankind,” wrote the metaphysical poet John Donne.The ethnic conflict over the years in Sri Lanka has extracted a heavy human toll.In my personal capacity as a Sri Lankan Tamil and in my professional capacity as a journalist , I have lost count of the number of people related or known to me who have encountered violent deaths.But no man’s death as a result of the ethnic crisis in Sri Lanka has diminished me as that of Neelan Tiruchelvam two decades ago. I had a close personal relationship with Neelan. He was my friend, philosopher and guide. He was greatly instrumental in moulding my career. He was in a sense my political mentor. It was as a journalist on the Tamil daily “Virakesari” that I first began interacting with Neelan Tiruchelvam. My relationship with him grew over the years as I moved into English journalism via ‘‘The Island ‘’and ‘‘The Hindu”. He had great influence over me in imparting knowledge, stimulating thought, shaping my career and moulding my beliefs. I will always remain grateful for the advice, knowledge, assistance and help provided by him during various phases of my life. Neelan and his wife Sithie who passed away in 2014 were like an elder brother and sister to me . I was one of the last persons to speak to Neelan on that fateful day of July 29th 1999. I spoke with him on the telephone from Toronto for 50 minutes from 7.50 am until 8.40 am (Sri Lankan time). I used to call him regularly in those days.Usually he winds up the conversation after a while saying “you are going to run up a massive phone bill”. But on that day he was in a mood to talk and was pensively reflective .When I ended the conversation he seemed a little surprised. Thirty-eight minutes later Neelan was killed at 9.18 a.m on his way to office at Kynsey terrace as the assassin waiting for him near the Kynsey road-Rosemead place junction threw himself upon his vehicle and blew himself up.When the office aide Rajah rang me from Colombo to convey the tragic news I could not believe it. “I spoke to him only a little while ago” I wailed. Sadly the loyal Rajah too is no more having passed away some years ago. Whenever I cautioned Neelan about his safety he had a fatalistic attitude about death. “No one can prevent it when it happens, we just have to go on doing what we have to do,” he told me once. He also seemed to have a premonition about how he was going to die. “There are countless vehicles in Colombo now. There is a traffic jam at every junction. All security measures become a mockery if my car is held up. None of the police assigned for my safety will be able to do anything.” How prophetic were those words! The lone assassin slipped easily between vehicles held up at the traffic snarl at Rosemead Place and triggered off the explosives strapped around him. One of his finest speeches in Parliament was made on June 15th 1999.Neelan Tiruchelvam spoke about celebrating life and stated we must be “fiercely committed to protecting and securing the sanctity of life, which is the most fundamental value without which all other rights and freedoms become meaningless”.Tragically the man who emphasized the sanctity of life as the greatest human right was killed six weeks after the speech. In a few seconds of lunacy, the Tigers murdered the foremost intellectual in contemporary Tamil politics. The void created is yet to be filled. It is particularly felt at this juncture as the Sri Lankan Tamils flounder in a rudderless, leaking boat on choppy waters deprived of able sailors to steer the boat safely ashore. “The absence of Neelan’s theoretical competence is perhaps nowhere felt more acutely today than in relation to Tamil nationalism, the federalist tradition of which he represented in Parliament at the time of his death. With Neelan’s assassins themselves vanquished, post-war Tamil nationalism finds itself in a state of ideological disarray and strategic confusion. While this has not, so far, resulted in electoral depletion, post-LTTE Tamil nationalism’s erratic constitutional self-representations suggest the lack of a rigorous theoretical core which could form the solid foundation of a coherent set of politico-legal claims in appreciation of the new political reality. As a result, Tamil nationalism can be found fluctuating wildly (sometimes within the course of a single political speech) between conflicting constituencies and objectives, resorting to mechanical comparativism with institutional models ranging from Switzerland to Southern Sudan, or to hackneyed categories of orthodox international law, none of which have a clear or logical relation to Tamil nationalism’s interests, purposes and prospects in post-war Sri Lanka. This in a global context in which sub-state nationalisms elsewhere are at the forefront of the interrogation of traditional democracy and state forms, and the development of constitutional theory and law in new and exciting ways in the accommodation of all forms of pluralism. These developments of course do not have automatic application, but with intelligent contextualisation, of the sort that Neelan excelled in, there is no doubt that Tamil constitutional claims could be more consistently and better articulated than they are at present”. Neelakandan Tiruchelvam, well-known as Neelan or Dr. Neelan, strove ceaselessly to achieve a peaceful solution to the Tamils issue. 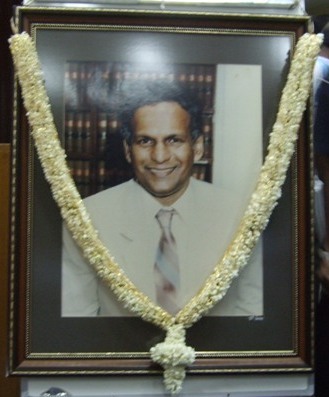 He dedicated himself to that cause with a sense of purpose.Although he could have easily enjoyed a lucrative academic or professional career abroad,he chose to remain in Colombo through very trying circumstances and pursued his vision of a lasting political settlement where all communities, including that of his own, the Sri Lankan Tamils, coexisted with justice, dignity and peace. 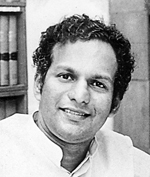 In that context, his death was an irreparable loss to the country in particular and humanity in general.The widespread grief and condemnation expressed by a spectrum of human rights organisations at his killing demonstrated the extent of his contacts and was a tribute to his untiring yet unpublicised efforts on behalf of the Tamil people. Although a citizen of the world in every sense Neelan also felt deeply about the plight of “our people” as he would refer to the Tamils when talking to me. It was this concern about the Tamil predicament and the yearning to do something meaningful about it that drew me very close to him.At the same time Neelan was not ethno-centric and realised fully that ultimately a solution acceptable to all sections of the people had to be found. Unlike many prominent Tamils who seemed wittingly or unwittingly oblivious to the tragic Tamil predicament, Tiruchelvam was a man very much concerned about it. Since political hypocrisy was not one of his attributes Tiruchelvam realised that the establishment of Tamil Eelam was neither desirable nor attainable. The pursuit of such a mirage through a violent campaign could only result in long term misery for the Tamils he felt. The fact that the arena of conflict was primarily the Northern and Eastern Provinces meant hardship and suffering of the highest order for the Tamils. Besides he was very worried about the dispersal of the Tamil community from their areas of historic habitation and their consequent relocation to other parts of the world. ‘It is this permanent migration that would be the most detrimental factor to the well-being of the Tamils in Sri Lanka’ was a constant comment of his. A reduction of numbers would result in diminished political importance he felt. In that context a letter by former Central Bank Governor N.U. Jayawardena that was published in a Colombo newspaper some time ago is relevant. Mr. Jayawardene in that pointed out two things. First he said that the Sri Lankan population would achieve zero growth by 2025 and stabilise itself. Second given the current rate of Sri Lankan Tamil outward migration its population percentage at that time would be only 1.9%. As such it would become a ‘Manageable minority’ was NUJ’s conclusion. Thanks to the war ending in 2009 the Tamil population has not decreased to the extent estimated by NU Jayawardene. But it certainly is on the decline. The drastic long-term effect of the armed conflict on the Sri Lankan Tamils was something that was either not realised or willfully ignored by the ‘Vocal Warriors’ of the Tamil Eelam armed struggle when the fighting was on. The question of whether the LTTE would win or lose the war became irrelevant in a situation where the Tamil population itself was becoming a feeble entity. The longer the conflict raged on the more the economy of the Tamil areas would decline and population decrease. There was also the factor of “geopolitical reality” that was against the birth of a Tamil state on the Island. However much the Tigers tried , there was just no way they could have achieved their goal in the long run. For these reasons and more Neelan Tiruchelvam was among those actively involved in trying to get the war suspended as early as possible. He also worked diligently behind the scenes to get the governments of the day to resume talks with the LTTE. Tiruchelvam felt that only third party facilitation initially and subsequent mediation would succeed. This view that the war should end and talks with the Tigers should be initiated did not endear him to many sections of past governments. 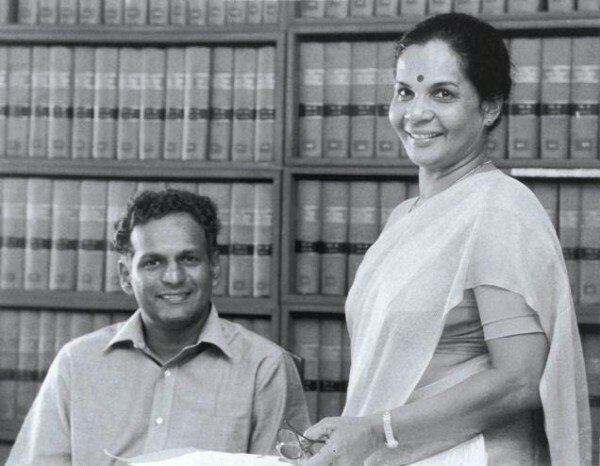 Neelan’s fault in LTTE eyes was the co-authoring of a set of constitutional reform proposals with Prof. G. L. Peiris. These proposals released on August 3, 1995 were described as the “GL-Neelan package” by sections of the media. Within a few days of the package details appearing in the newspapers, the LTTE summoned a news conference on August 11, 1995 at their Chundikuli headquarters in Jaffna. It was held by the LTTE’s political adviser Anton Stanislaus Balasingham and LTTE’s Political Wing Head Suppiah Paramu Tamilselvan. That was the green light! Thereafter the vicious campaign against Neelan began in the Tamil and even sections of the English media. He was called a traitor to the Tamil community because he participated in a positive exercise of constitution-making instead of rabble-rousing like some other Tamil sycophants of the LTTE. Neelan with characteristic modesty and disdain for hogging the limelight played down his involvement in the August 3 proposals known as the “GL-Neelan” package. In private and in fora that mattered, Neelan stoutly defended the package. He would often lament that much of the mud slung at him in Tamil circles was “ill-informed” and without any grasp of what the package was all about. He was very proud of the package but accepted that it had its shortcomings from a Tamil point of view. What he felt was that the package was the best possible available as a starting point. A particular source of satisfaction was the proposed change of the unitary state into a union of regions. He felt that if there was a Tamil consensus around it and the LTTE lent its bargaining clout the package could be enhanced further. Alas! That was not to be and the LTTE campaign sought to undermine the package as a complete sell-out. With the LTTE taking up cudgels against the package and the war intensifying, the Chandrika Kumaratunga government too altered its approach. Naturally, Neelan was placed in an unenviable position while his critics became increasingly strident. On the other hand, the original package itself underwent a series of revisions. The end result of all this was the systematic whittling down of the original package to which Neelan had contributed immensely.The August 3, 1995 package lost much of its lustre when presented formally as government proposals on January 16, 1996. The Parliamentary select committee proceedings saw the devolution proposals being diluted further when tabled as a white paper on October 24, 1997. It was against this dismal backdrop that the LTTE assassinated Neelan. After Neelan’s death, the devolution package he conceptualised in its original form was further eroded. In the short-lived honeymoon period between the PA and UNP the devolution proposals got reduced in scope and scale. With Neelan’s demise there was no one from the Tamil side to contribute positively to this exercise. Ultimately a reduced version of the original Neelan package came to parliament but even the Tamil United Liberation Front (TULF) refused to support it. Kumaratunga in her address to parliament did not even mention Neelan’s name despite his having paid the supreme sacrifice. And then the UNP did a somersault and refused to support the bill co-drafted by it. Years later the political scenario changed drastically. The LTTE entered a peace process with the UNP and began talking to a ‘Sinhala’ government about power sharing. Lo and behold! The chief government negotiator was none other than G.L. 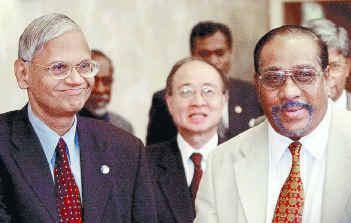 Peiris with whom Neelan had engaged in constitution-making, years ago. The Tiger chief negotiator was the very same Balasingham who dismissed the ‘GL-Neelan’ package derisively earlier. The GOSL-LTTE talks achieved a significant breakthrough in Norway when the negotiating parties decided to “explore” a federal solution. Despite this advance, the talks thereafter failed to follow through with this in subsequent meetings. After vilifying Neelan as a traitor and the August 3, 1995 devolution package as an act of treachery for years the LTTE was now acknowledging the merits of Neelan’s draft. After condemning the “GL-Neelan” package, Balasingham was now praising it. The wheel had turned full cycle.But Neelan was no more. After denigrating Neelan as a traitor and killing him the LTTE was now praising him. Even though Neelan was vindicated in a way, the brightest star in the Tamil political firmament is no more and nothing can ever bring him back. The loss to his family, friends, colleagues and associates is irreplaceable. So too is the loss to his community, country, the intellectual realm and humanity at large.